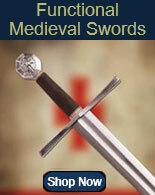 Cobra Steel swords for sale are made by Windlass and designed after historical Roman and Greek short swords. These multi-purpose knives and short swords have hand-forged, sharpened high carbon steel blades. Cobra Steel uses high-tech computer controlled ovens to fully temper these pieces resulting in a Rockwell hardness of 48°. 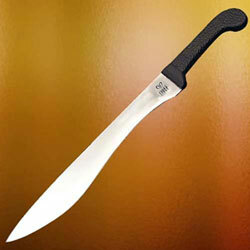 The hard rubber scales on the handle provide a tactical component and a solid grip. 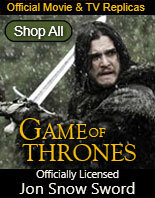 They also include a black leather scabbard. 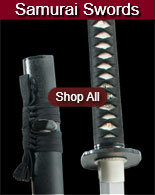 Buy these Cobra Steel swords and multi-purpose knives available in a variety of sizes and historical designs. Cobra Steel Kopis Swords for sale are 22 inches in all. Inspired by the ancient Greek Kopis that combined a chopping sword and a curved blade, the Kopis features a hand-forged X46Cr13 high grade stainless steel 16 inch factory sharpened blade that is fully tempered in a high tech computer controlled oven to a Rockwell hardness of 48º. 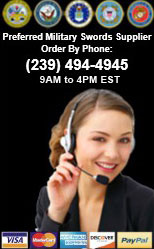 They have a strong, hard rubber mold-over weather resistant grip that is comfortable and diminishes slippage. The Kopis Swords weigh approximately 1 pound 4 ounces and include a riveted leather belt sheath. Buy the Cobra Steel Kopis Swords for $79.99. 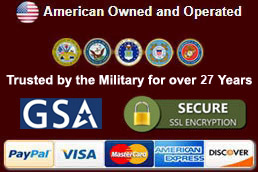 Cobra Steel Falcata Swords for sale are 20 ¾ inches in all. These short swords feature a hand-forged X46Cr13 high grade stainless steel 14 ½ inch blade that is fully tempered in a high tech computer controlled oven to a Rockwell hardness of 48º. They have a weather resistant rubber handle which is long enough to accommodate two hands is necessary. The 2 inch wide blade is 3/16th of an inch thick. They include a riveted leather scabbard. 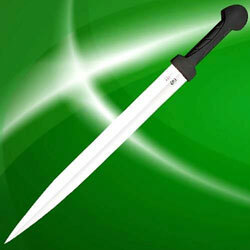 Buy the popular Cobra Steel Falcata Swords for $79.99. Cobra Steel Kindjal Swords for sale measure 23 ½ inches in all. Inspired by popular traditional short swords, the Kindjal features a hand-forged X46Cr13 high grade stainless steel blade that is fully tempered in a high tech computer controlled oven to a Rockwell hardness of 48º. The Cobra Steel Kindjal has a tough, hard rubber mold-over weather resistant grip that is comfortable and diminishes slippage. The 17 inch factory sharpened blade is 1 5/8th inch wide and 3/16th of an inch thick. These swords weigh approximately 1 pound 2 ounces and include a riveted leather belt sheath. 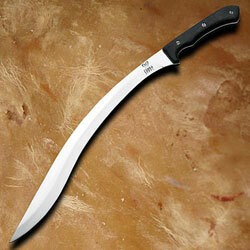 Buy the Cobra Steel Kindjal Swords for $79.99. Cobra Steel Lakonia Swords for sale are 20 ¼ inches in all. They are inspired by historical Spartan short swords but feature a modern hand-forged X46Cr13 high grade stainless steel 14 inch blade that is fully tempered in a high tech computer controlled oven to a Rockwell hardness of 48º. 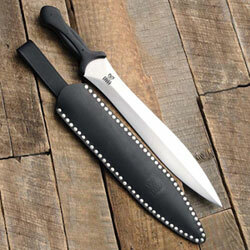 They feature a weather resistant handle and a full profile tang. They include a riveted leather scabbard. Buy the popular Cobra Steel Lakonia Swords for $79.99.